Enik Rising: "Attack ads work perfectly"? In the past, campaigns have been wary of deploying negative ads for fear of backlash, says [political scientist Travis] Ridout. However, that may be changing as campaign operatives see evidence that negative ads can break through party affiliations and also sway independent voters. A case in point: Mitt Romney’s February landslide in the Florida Republican primary came on the heels of the “most negative advertising campaign in history,” according to the nonprofit Campaign Media Analysis Group. The week before the primary, 99 percent of Romney’s ads were negative, while 95 percent of Newt Gingrich’s ads were negative. A few points here. First, I have a hard time believing that the Florida Republican primary was the "most negative advertising campaign in history," although I guess it depends on how we're defining our terms. History's pretty long. But more importantly, just because a lot of money was deployed by Mitt Romney and his allies against Newt Gingrich and Romney won hardly proves that Romney won because of the negative ads. It's possible -- John Sides has some tentative evidence suggesting that the ads mattered -- but we'd need a lot better data than we currently have to prove that negative ads swayed independent voters away from Gingrich and toward Romney. And then there's Weinberger's sweeping conclusion that "attack ads work perfectly" and that everyone knows it. Yes, a lot of people are convinced that they work, but that's far from proof that they do. To cite Sides again, "We haven’t remotely arrived at a place where 'research' suggests that negative ads 'work.'" Quite a bit of research suggests they don't do much at all. The Florida example is hardly a "case in point" when the point that is to show evidence that "negative ads can break through party affiliations and also sway independent voters". That last part is particularly noteworthy. There are no independent voters in Florida primaries. They are closed contests. Yeah, I'd say that's a particularly important point! 1. All other things being equal, certain "fundamentals" will emerge and predict an outcome of a candidate race (incumbency, partisan preference in a district, ideologically typical candidates, no major changes in the franchise, etc.). 2. Sometimes a political campaign that is following along on a default trajectory will reshuffle itself and head in a new direction, often quite quickly; sometimes that deviation from the old trajectory will quickly evaporate and other times is will endure. 3. When there is a short term or long term shift in public opinion about candidate races this happens for some reason. A good study would then look carefully at time periods in which public opinion changed rapidly, compare it to time periods in races as comparable as possible in which public opinion did not change, and develop a rank ordered list of factors that shift the momentum in candidate races. I suspect that the typical shift in momentum happens in periods of a few days to a few weeks, not gradually over many months. I'd expect that moments when a candidate who was splitting of political faction drops out, scandals that are newly revealed, and public gaffs revealed by free media or at a debate probably all rank ahead of advertising as drivers of those moments, but that effective ad campaigns are probably in the top five or ten factors one can point to as driving those outcomes. Effective ad campaigns probably shift the trajectory of more races, for example, than new policy positions. 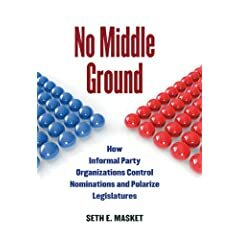 From a campaign strategist's view then, since there are limits to what one can do to prevent your candidate from doing something scandalous or putting his foot in his mouth, advertising may be the most important source of trajectory shifts in political races that can be planned for and controlled. And, it certainly wouldn't be surprising to find that negative ads are more likely to produce a shift than positive ones. The other factor that is missing, I think, is the notion of baseline advertising to establish name recognition. Studies of hotly contested races between well funded candidates won't pick it up, but most candidates spend a huge chunk of campaign funds simply establishing that something with the candidate's name is running for a particular office and very little more, often not even a party ID or a picture of the candidate. Only until that money is spent is someone even really a contender. Once name recognition iis established, negative ads can be effective, but negative ads can be counterproductive if you candidate has established name recognition and nobody even knows that the other guy is running. It is plausible that postitive ads for candidates who have established name recognition are often worthless (but see, e.g., Hickenlooper's first Mayoral campaign). But, distinguishing between an ad that establishes name recognition, and a true positive ad is subtle.